A good match for those looking for an alternative to Tradecraft Rwandan Red Bourbon ground. The coffee for Archie's is grown and picked by the Timana cooperative in south western Colombia, which has been Fairtrade certified since 2007. Today the association comprises 85 families, all small coffee growers, who are deeply committed to improving their standard of living by producing and exporting high quality coffee. Award winners for their specialty coffee, the cooperative grows over 80% of its beans in the shade at high altitude, which leads to much higher quality beans. 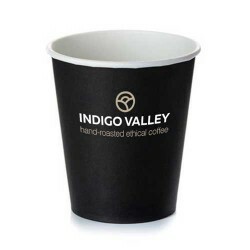 “Nice syrupy, rounded mouthfeel - a dark roast with Earthy, cedarwood flavours." .